Delayed umbilical cord clamping has numerous health benefits for your baby. 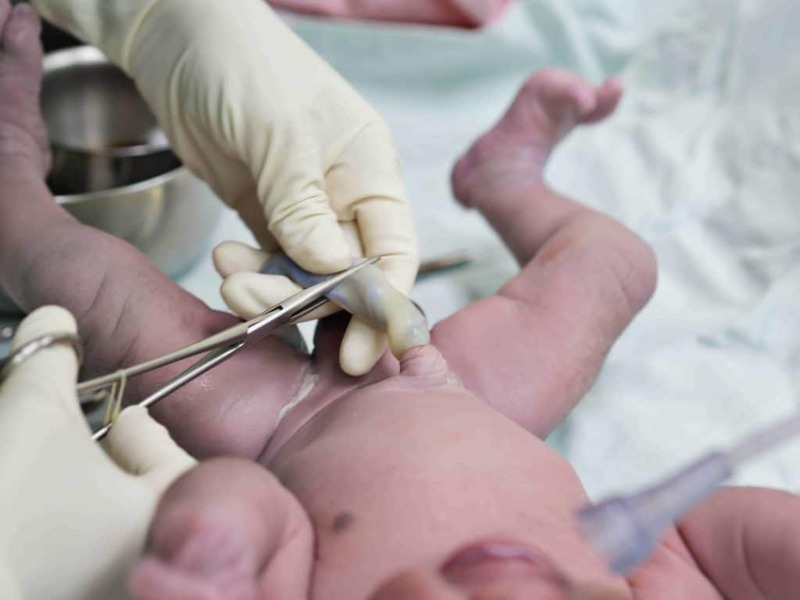 Have you given much thought to the cutting of your baby’s umbilical cord? In addition to who will cut the cord after your baby is born, you’ll also want to consider when the cord will be cut. If you have a hospital birth and you don’t indicate otherwise, the umbilical cord will most likely be cut within seconds after birth. However, there are many important reasons and health benefits to gain by delaying the clamping of the umbilical cord by just a few minutes. 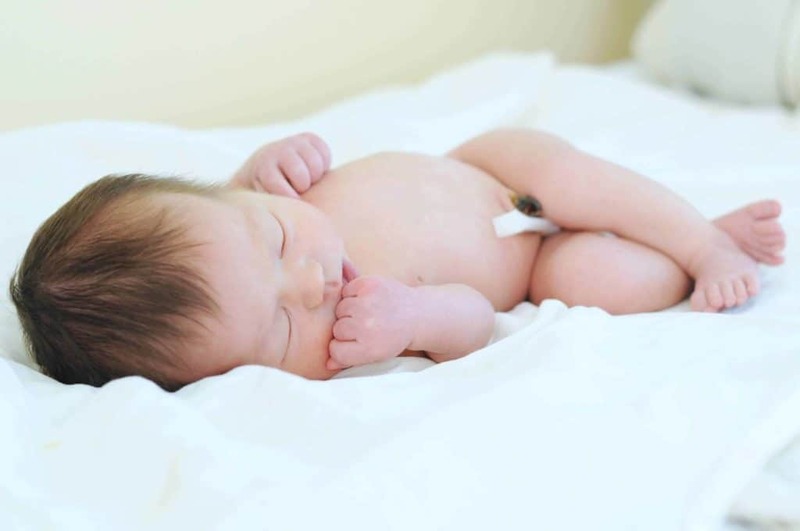 Why is Delayed Umbilical Cord Clamping Gaining Popularity? How Long Can You Delay Cord Clamping? Can You Delay Cord Clamping for C-Section Births? Can You Bank Cord Blood If You Delay Cord Clamping? While delayed cord clamping has long been the practice of midwives, the mainstream medical community has only recently begun to acknowledge its benefits for babies born at full term. Considering the endorsements made by these important organizations, and the important health benefits for babies, delayed umbilical cord clamping is rapidly growing in popularity. There are many health benefits of delayed cord clamping, which are only recently being studied at greater depth. A 2015 study found that children who had delayed cord clamping at birth displayed better fine motor skills and cognitive development at the age of four. These children also exhibited better social skills than their peers whose cords had been clamped immediately after birth. This is because delayed cord clamping improves iron levels, which in turn boosts mental and physical development. For preterm babies, the benefits of delayed cord clamping are even more pronounced. According to ACOG, premature babies whose cord clamping is delayed are at a much lower risk for needing blood transfusions, entering respiratory distress, or developing sepsis. While the standard practice has been to immediately clamp the cord within seconds after birth, many parents are choosing to wait several minutes before clamping the cord. The World Health Organization now recommends that the cord be allowed to pulse for at least one minute after birth. Most midwives, however, will recommend that the umbilical cord be left intact until it has ceased pulsing on its own, up to ten minutes after birth, which allows for the maximum amount of blood flow between the placenta and your baby. Studies have shown that the transfer of blood from the placenta to the baby is initiated by your baby’s first breaths. A transfer of approximately 80 mL of blood occurs by 60 seconds after birth and approximately 100 mL at about 3 minutes after birth. The cord typically stops pulsating within 5-10 minutes after birth, and that is the point at which it is no longer delivering blood to the baby. Personally, we opted to wait to clamp the umbilical cord until the cord had stopped pulsating and turned white. I felt the most comfortable with this approach because I wanted to ensure that my babies received all of the placental blood and its associated benefits. Delayed cord clamping is not only limited to vaginal births. If you end up needing a c-section, there is no reason you can’t still delay cord clamping for the best outcome for your baby. There are multiple ways that delayed cord clamping can be accomplished during a c-section and you can talk to your doctor about which method can be planned for your birth. If you already know that a c-section will be necessary, talk to your provider as soon as possible to ensure that everyone in the operating room will be aware of your choice, and that your doctor is committed to your plan. While delayed cord clamping is becoming increasingly common, some doctors may still resist the idea in the event of a c-section, but there is no reason that delayed cord clamping cannot be accomplished in a c-section birth. Another question many new parents have is whether or not they can still delay cord clamping if they plan on banking their baby’s cord blood. If you are considering banking your baby’s cord blood, the good news is that you can still delay cord clamping. However, you may not be able to delay cord clamping for as long, because the longer you wait to clamp the cord, the less blood volume there will be in the placenta. Please also note that ACOG recommends that cord clamping should not be altered for the collection of cord blood for banking purposes. Studies have shown that delaying cord clamping for one minute resulted in a 6–21% decrease in the total volume of cord blood collected and a 9–31% decrease in the pre-processed total nucleated cell count. However, the amount of blood that is able to be banked after delaying the cord clamping can depend heavily on the process that is used for banking. If you plan to bank your baby’s cord blood, speak to your doctor to establish a plan for the amount of time the umbilical cord will be able to pulse while still allowing for enough blood for adequate cord blood banking. And be sure to check with your hospital to see if they can accommodate this request. I would also encourage you to further research the way cord blood banking works, your options, and the likelihood of needing and being able to utilize your baby’s banked cord blood. Once you have decided that you want delayed cord clamping, please communicate this decision to your doctor or health care provider. Bring this up at your next prenatal appointment, and be sure to add it to your birth plan. (If you don’t have a birth plan yet, you should make one now. Your birth plan is your voice in the delivery room and I encourage all mothers to have one.) It is important to ensure that your doctor or midwife is on board with your decision to delay cord clamping. And be sure to bring a couple of copies of your birth plan with you to the hospital. Delayed cord clamping is increasingly returning as the norm, except in the event that an issue arises that may necessitate immediate cord clamping. According to the AAP, what might necessitate immediate cord clamping would be “cases of maternal hemorrhage or hemodynamic instability, abnormal placentation or if there is a need for immediate resuscitation of the infant or if infant placental circulation is not intact.”  Cord milking, a practice in which the cord blood is manually pushed to the infant, is a suitable alternative when delayed cord clamping is not possible. (However, it is not a substitute for delayed cord clamping.) Please speak to your doctor about this and be sure that you understand what your options would be in an emergency situation. Given the fact that ACOG, the AAP, WHO, and several other international organizations recommend delayed cord clamping, your request should not be met with objection. However, you can also read about some common objections doctors have to delayed cord clamping. Developing a birth plan that incorporates delayed cord clamping is a wonderful gift for your baby! Get started by talking to your provider at your next prenatal appointment about how to plan for delayed cord clamping during your birth. Access my free natural birth plan template today, so you can customize the plan for your own birthing and baby care preferences. Success! Please click the link in the email we sent you to download your copy of my natural birth plan template. Get the birth plan template!